A few days ago, we had the pleasure of hosting a talk on SQL by software engineer Henry Dotson. While mostly directed at developers, the evening served as a great introduction to SQL for any tech professional. 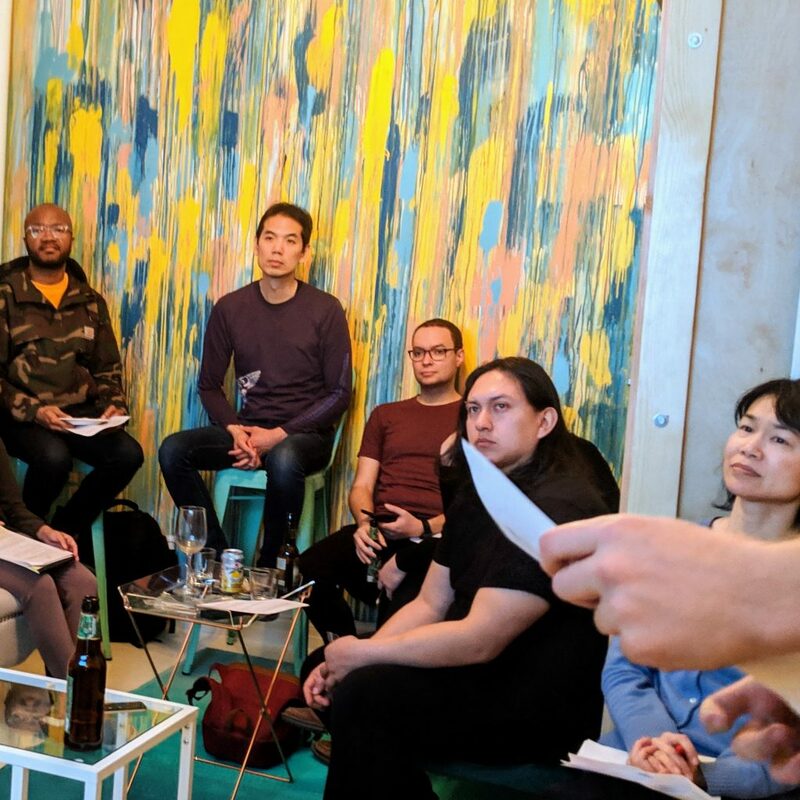 Hosted at Clutch HQ, the attendees were a diverse mix of engineers, recruiters, and tech bloggers, all eager to learn about the simple, yet ubiquitous, language of relational databases. While it’s an industry standard, SQL is often overlooked as a subject for anyone in tech who is not a developer, so it was great to hear a detailed, accessible explanation of how it works and why it’s so important. What do beer, wine, cheese, and code all have in common? 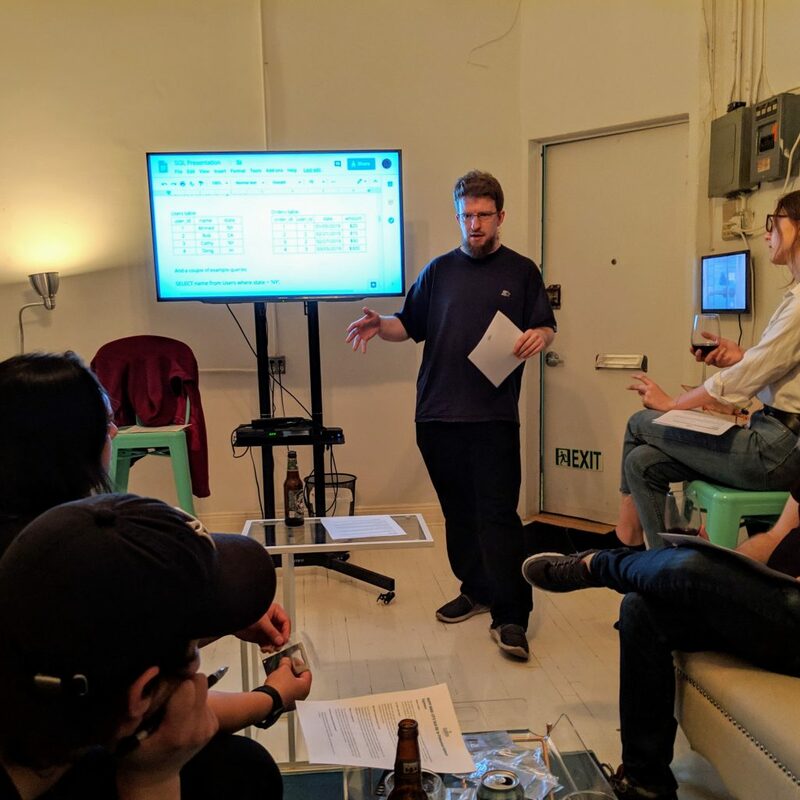 This last Wednesday, Clutch Talent hosted a happy hour, during which guest speaker Henry Dotson gave a talk about SQL and database relations, followed by a Q&A session. The audience included various members of the tech community, as well as those interested in learning more about the industry. Henry, a professional software engineer, introduced SQL and how he uses it in his day-to-day goings as I, captivated, sipped on a cold beverage and listened. 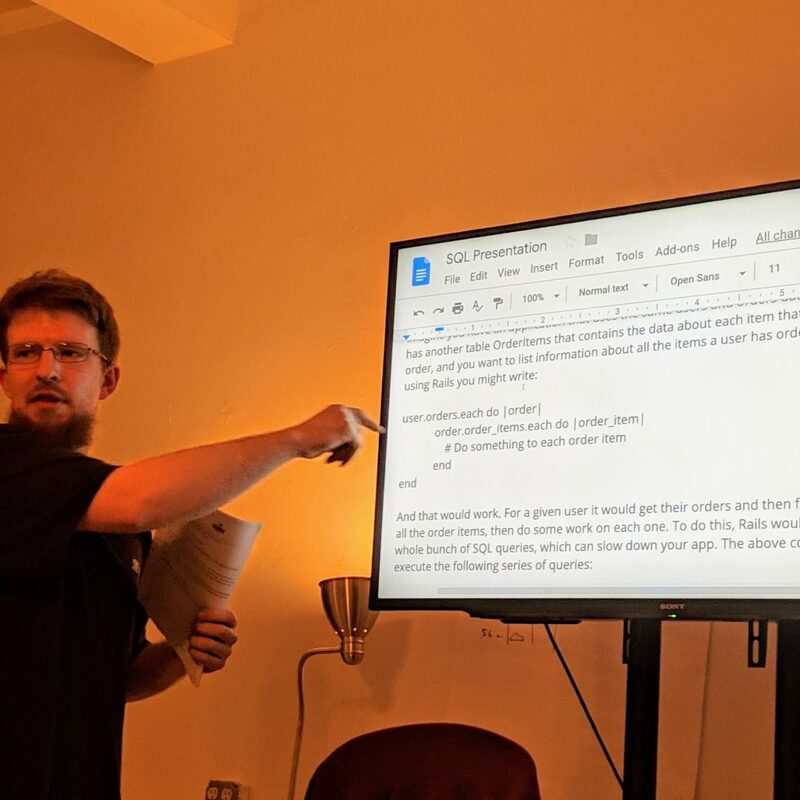 “…it’s like chess: they can give you all the pieces, and you can learn the game, but the amount of ways you can play is virtually endless…” says Henry to an impromptu question raised by a recent graduate of a NYC tech bootcamp. The talk was both engaging and informative, stimulating our views on current tech topics the whole time. To wrap up the evening, Henry conversed with guests, and even offered his email to attendees to send any follow-up questions that weren’t asked at the time. We received a summary of the talk, as well as some Clutch-branded extras for the taking, and I was left feeling spoiled. When walking out of the event and into the bustling city, I was struck with a thirst for more Clutch Talent happy hours; and to persuade my roommate to play me in chess. NYC area, fans of tech, and anyone looking to hone their engineering skills should keep an ear out for events such as these. You can download a copy of the lecture here.